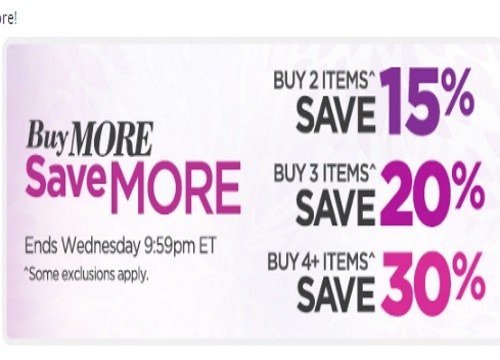 The Shopping Channel has a Buy More, Save More Event on now! Save up to 30% off with the promo code below! Buy 2 items and save 15% off, Buy 3 items save 20% off, Buy 4+ items and save 30% off. Enter the promo code SAVEMORE at checkout. Offer ends Wednesday, June 1, 2016 at 9:59pm ET.